Most players hate reading text in games! Recently I received an email from a experienced video game writer. He told me that he likes my game Witch Hunt, however, as a writer and narrative designer he was disappointed that more personality, tone and atmosphere wasn’t conveyed in the texts and voice acted content. He also attached and example of “improved” intro text for Witch Hunt. Unfortunately, his improved version is exactly the reason why I’m afraid to outsource writing. The main problem of his version is that it uses two times more words to convey same information. And as a cherry on a top Witch Hunt is not a story focused game. I did expect to see that kind of issue, from non-video game writer, but I was really surprised to see it from experienced video game writer. For that reason, if you’re involved with video game writing in any way I want to give you advise and share a fresh example prove it. You probably know that most people don’t read books and from my 10+ years of experience in game design it quickly became clear that majority of video game players hate reading text in video games. Therefore, every time I write any text, priority number one is always on using as few words as possible to convey information I need. I know that when you make short text a priority, it means that you must make sacrifices. But I strongly believe that it is justified for video game writing. I want to share a fresh example of just how much people hate reading in games. When I’ve launched Witch Hunt in Early Access I’ve started watching let’s plays of the game. Soon I’ve noticed that a big percentage of players don’t know that they have Silver Saber. It happened even though it is clearly visible in player inventory that they did saw and there was a tutorial message related to the Silver Saber. This happened because in older versions of the game, your equipment in inventory was displayed as a list of item names. At the start of the game it’s a quite short list, containing only 3 items. But people hate reading so much, that when they opened inventory a big percentage of people were too lazy to read that short list and a lot of them ignored tutorial message. So, to solve that issue I now display player equipment in inventory as icons and after this change and a change of tutorial message where I also replaced text with icon. Those changes completely solved the issue and now 100% of players know that they have Silver Saber at the start of the game. That is how much some people hate reading text in games! Also, on that inventory screen you can see a Tips section. Less than 10% of players opened that section and most of players who did, have read only couple sentences before closing it. Which aligned with my expectations, but was a complete shocker for my family member, who watched more than 100 let’s play of Witch Hunt. I always thought the fact, that video game players hate reading text in games is a common knowledge in video game industry, but that email from experienced writer clearly shows that it isn’t. How do I stay motivated as a solo indie developer. When I just started my full time solo indie developer journey. I had huge problems with motivation and work discipline. I’ve invested a lot of time reading about best solutions for that problem. But to find approach that works for me, I had to go against most of the common wisdom in the field. My current approach combines freedom and discipline in a way that works well for me and served me well for more than 4 years. My approach I quite simple. I decide when to work, but I track my work time and my goal is to work 35-hour week. If I work more, time gets added to my time bank and it can be used to work less at some other week. If I work less, negative number of hours goes to my bank and eats from what is there. And yes, sometimes I have negative number there, so I get incentive to work more than 35 hrs. This method gives me enough freedom to work and not work when I feel like it. But it does provide a serious penalty for not hitting that mark and creates good incentive to hit it. On my previous project the goal was 40-hour week, but those projects had more level design, while current one requires more programming. And programming is much more draining for me, that’s why I had to make that adjustment. I use Toggl to track my time and Asana for task management. My task management habits are also skewed towards freedom. Witch Hunt is released out of early access! You can grab it right now with a 10% discount. I want to thank everyone who provided feedback and helped me to make Witch Hunt a better game! Witch Hunt is my new hunting/horror game for PC. 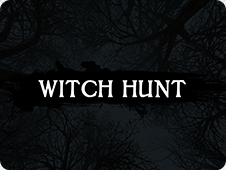 Witch Hunt is a horror themed hunting game that takes place in the 18th century. 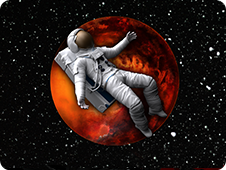 Main focus of the game is on exploration, non-linearity, and atmosphere. 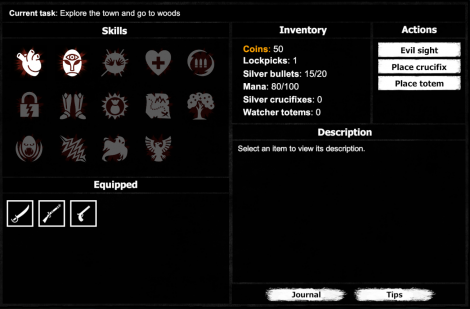 Witch Hunt features lite RPG elements in form of a financial system and a skill system. Screenshots, gameplay video and more details can be found here. Sometime ago I gave an interview to youtuber called Kreal. It should have resulted in a video, but it didn’t happen. Since I’ve spend some time answering those questions, I didn’t want it to go to waste. So here it is. This interview contains spoilers for Gynophobia and Shadows Peak. I’m not a native speaker, so my English isn’t perfect. 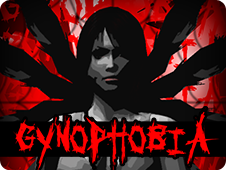 My open-world horror game is finally released on steam. You can grab it right now with a 33% discount. I want to thank everyone who provided feedback and helped me to make Shadows Peak a better game! I still plan to release updates for the game. Upcoming updates will add achievements and Korean translation to the game. Innovation isn’t important to players? I often think, what the most important aspect of the game? We do have a proof that almost any kind of game can be successful, but this line of thinking doesn’t help when I need to decided where to focus my attention as a developer. Should I improve gameplay? Graphics? Or should I focus on innovation? And by using steamspy.com I’ve tried to estimate how much each winner in those categories earned. And yes, as I’ve said before, this is a pretty crude method. After analysis of 2016 winners, my top of importance looked like this. Analyzing other years prove to be a challenge, because not all games that became a winners in those categories were released on steam, or released at all. But it was clear, that winners of Nuovo Award category didn’t sell well in all those years. Of course, ideally I should analyze some other awards where more data will be available and maybe someday I will. But for now, I’ve just want to share those findings, cause in my personal top, innovation would take a second place and I feel that it’s the same for a lot of creators. If someone wants to take the idea and make more serious research on that subject, you have my blessing and please tweet your findings at me. Do indie developer needs a good PC? Investing in a good PC in my opinion is a must for serious indie game developer. It will make a game development process more pleasant, it will speed up development process, there will be less situations that could break your development flow. Basically it’s the cheapest and easiest way to speed up development and reduce costs as a result. Here are some practical advices for people who are building or choosing PC for game development. 1. Get an extra monitor or better two. This increases productivity and makes development process more fluent and painless. I’ve read that Microsoft did a study that concluded, that extra monitors increased productivity so significantly that now it is almost mandatory at Microsoft for employees to have extra monitors. When I’ve worked in a small company and had two monitors I’ve brought my own monitor to use it as a third monitor, because it really makes a difference. I personally prefer to use 4:3 monitors as side monitors, despite having bigger extra 16:10 monitors in a house, because information on far corners of 16:10 monitor is just too far from my face and to see it I would need to turn my neck too much. 2. I use Unity to make my indie games. Font sizes in Unity were hard coded in 2006 and they don’t scale properly when Windows scaling option is being used. Because of this, it is really hard to see interface on monitor with small pixel size especially if your eyesight isn’t perfect. Here’s 2000+ people begging Unity to address this issue. As far as I know Unreal Engine 4 unfortunately has similar issue. Because of this I recently replaced my main monitor with 27 inch Full HD monitor. I did it simply to continue using Unity without back pains that was caused by my constant leaning towards the monitor. Of course video games started to look pixelated cause this monitor has big pixel size, but Unity left me no choice. I advice to avoid 4k monitors as a plague, because Unity and Unreal Engine 4 are not the only game dev software that doesn’t properly support huge resolutions. 3. Get an SSD. It will simply make everything load faster and this will of course significantly speed up development process and will save you a lot of time. It is possible to make a game on a potato but I wouldn’t recommend it, since an indie developer already has to face a lot of struggles and he/she should use every opportunity to cut down development time and make development process as smooth as possible. It boggles my mind, that there are people who are willing to spend big money on contractors for sound, art, music, programming but are not willing to invest in a good PC. Shadows Peak released on early access! My new horror game Shadows Peak released on Steam early access! You can grab it now with 15% discount. I would advice you to read early access FAQ available here, before buying it. I’m planing to regularly update Shadows Peak, but updates may slow down, when I will start to work on second chapter for the game. 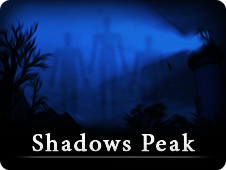 All new chapters will be available for free for everyone who will buy Shadows Peak in early access and after early access period.